Steve Jobs theater, a true and fitting monument. 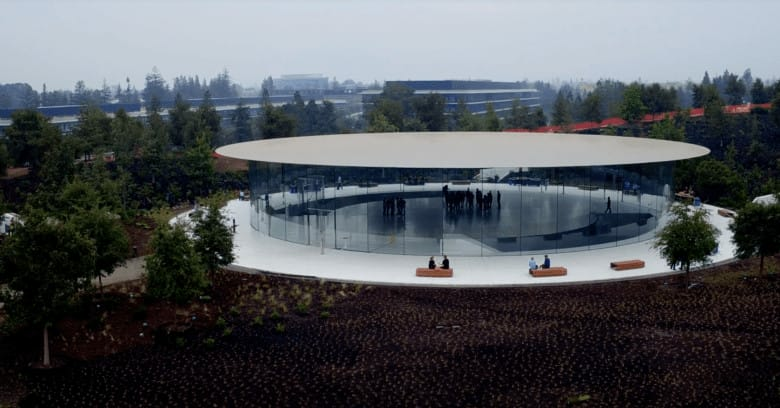 This week on The CultCast: A look at the new Steve Jobs Theater, a beautiful spectacle of technology and architecture, a physical manifestation of the Apple ethos, and a true and fitting monument. And like any Apple product, it packs some features that will delight you. Plus: Why it will probably be damn near impossible to purchase an iPhone 8. And we’ll pitch you our favorite gadgets, then vote on which is best, in an all new Faves ’N Raves! Our thanks to Squarespace for supporting this episode. It’s simple to accept Apple Pay and sell your wares with your very own Squarespace.com website. Enter offer code CultCast at checkout to get 10% off any hosting plan. The Steve Jobs Theater is as obsessively perfect as you’d expect a building named after Apple’s co-founder and former CEO should be. The entrance to the venue sits underneath a silver disc, which which sits 20 feet in the air, supported by gigantic glass panels. It’s a touching eponym, isn’t it? Steve Jobs theater? It will be a beautiful spectacle of technology and architecture, a true and fitting monument. A metaphor for Steve Jobs, and a physical representation of the Apple ethos. Steve Jobs was man that literally started with nothing, not even his biological parents, and went on to build one of the world’s most coveted companies. It’s a uniquely American success story. Apple’s upcoming premium iPhone is likely to be its most expensive model ever — and Samsung is partly to blame, according to a reliable Apple analyst. In his latest research note, KGI Securities analyst Ming Chi-Kuo explains to investors that Samsung currently holds a practical monopoly on the supply of OLED displays. They’re the only ones capable of reliably mass producing the screens Apple needs, and thus seems to be inflating the price.